Samsung launched the impressive-looking Galaxy S8 in March, but its pink variant took until June to arrive. The Rose Pink option was announced in Taiwan and now it's starting to expand to other markets as it's hitting Mexico. 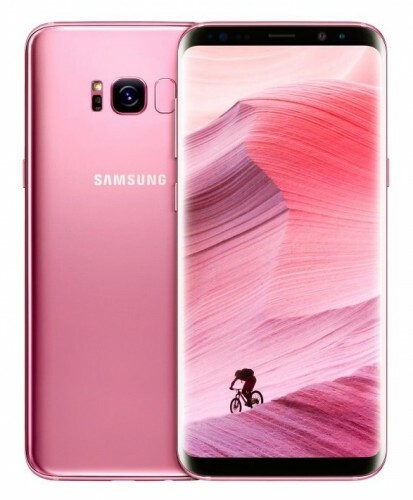 The Rose Pink Galaxy S8 and Galaxy S8+ will be available for pre-order from August 10 and will start shipping on August 16. Samsung partnered with case manufacturer Montblanc to offer pink cases for customers who pre-order online through Telcel or AT&T. The pink case could be purchased only by customers who choose the Rose Pink variant from any of the authorized stores. Pricing of the Rose Pink Galaxy S8/Galaxy S8+ is the same as the other color variant - MXN17,299 or around $980 for the smaller flagship. Its unclear when other markets are getting the new color, but it can't be long now.